Real Madrid manager Zinedine Zidane confirmed that he is ​not willing to let the club sell Marco Asensio - amid reports of a possible switch to Liverpool, among others. 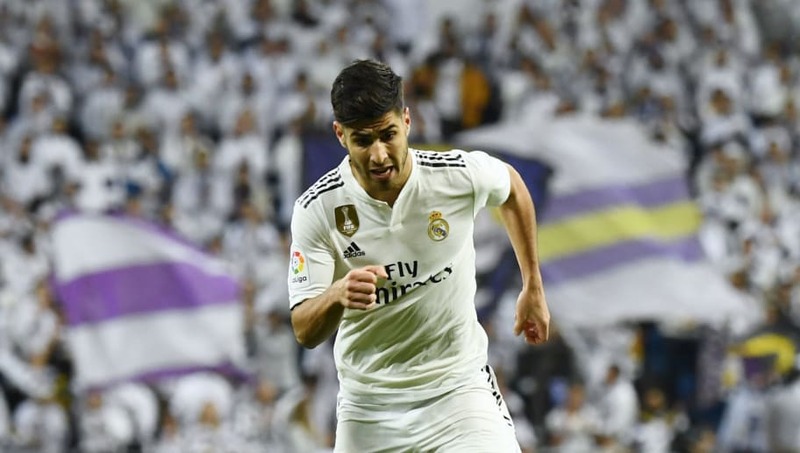 ​Asensio rose to prominence at Real during the Frenchman's celebrated first reign, but struggled to impose himself under first Julen Lopetegui and then Santiago Solari, leading to rumours of a potential exit this summer. Liverpool have long been credited with interest, with one report last year claiming ​Jurgen Klopp was "obsessed" with Asensio. The Spaniard is fresh from playing the full 90 minutes for his national side against Norway in their 2-1 Euro 2020 qualifying win, but in the 36 games he has played across competitions this season for ​Los Blancos, he has gone the full distance just 11 times. However, speaking to reporters, as quoted by the ​Mirror, Zidane rubbished reports of an exit for one of his future stars, explaining: "I have spoken to him and told him that he will be fundamental to the team. And I want him here with us." True to his word, that 11th completed game came against Celta Vigo in Zidane's return to the dugout, an overt attempt to ward off on any wandering eyes in Liverpool before the aforementioned quote provided the nail in the coffin. The club's hierarchy had been previously coy on the 23-year-old's future, with some reportedly eager to cash in on the youngster's still-great potential in order to free up funds for this summer's forthcoming rebuild. And, undoubtedly the most talked about of said potential recruits has been ​Eden Hazard, especially since Zidane's return. The Belgian had previously labelled the World Cup-winning Frenchman his "idol" and there were reports last week that he had already agreed upon a five-year deal with the European champions.  Behind door number 1 = Played out of position at Chelsea!  Behind door number 2 = Play with Ronaldo at Juve!  Behind door number 3 = Play under Zidane at Madrid! But, speaking to ​Sky Sports whilst on international duty for the Red Devils, Hazard declared: "There's nothing in the reports. I'm only focused on tomorrow's game against Cyprus. And, if the 28-year-old's ensuing performance against the Cypriots was anything to go by, he was telling the truth, with a score inside the first 10 minutes helping his team to a comfortable 2-0 win at the GSP Stadium.